MY "BROTHER FROM ANOTHER MOTHER". Bob Falstein was a dear friend with a sweet & gentle soul. He lived to play music. He was entertaining up to two weeks before he passed away. I saved This Website and purchased his domain name when it was abandoned by 'certain parties". BOB FALSTEIN & HIS MUSICAL MEMORIES. This is the official website for pianist, vocalist, and entertainer Bob Falstein, The Delish Band, and your ultimate resource for East Bay and San Francisco Bay Area pianists. Check out Bob Falstein's NEW Video Page Here. Bob Falstein plays popular music for all occasions and his very own originals. He performs as a solo act, Accompanied by Sherilyn Maye Gordon, or with The DeLish Band check out The Delish Band song list here. 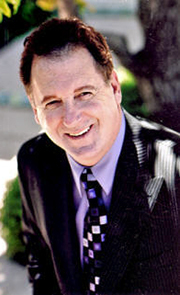 For over 20 years San Francisco Bay Area and Contra Costa, California's night clubs, restaurants, corporate events, Bar Mitzvahs, Bat Mitzvahs, weddings, and birthday celebrations have benefited from Bob Falstein's piano playing magic and personality. Hundreds of brides and grooms have remarked that his experience of how a wedding really should flow, his emceeing skills, and the versatility of the music made their wedding day as memorable as they wished and more stress free than they imagined. Bob is frequently hired to play piano while guests arrive and mingle. His band caters to audiences of all ages. It is imperative that the music is arranged and delivered by a true professional. Bob Falstein needs to be your first call! What a perfect gift for yourself or your guests...original music on CD by Bob Falstein. Ensler Entertainment and Robert S. Ensler Presents.